Finance Minister Asad Umar on Tuesday has said all the fundamental economic indicators are improving as a result of effective policies of the present government. 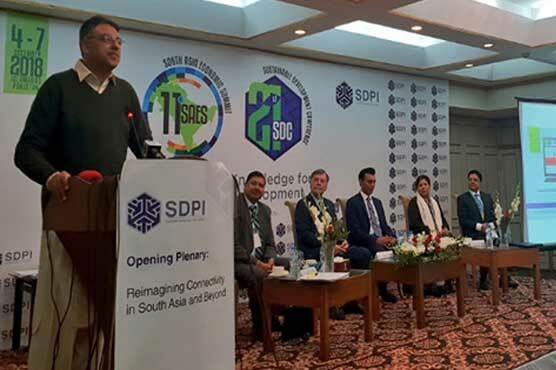 Inaugurating the 11th South Asia Economic Summit organized by Sustainable Development Policy Institute in Islamabad on Tuesday, he pointed out that exports are increasing and imports and current account deficit are witnessing downward trend. He said the present government assumed office in difficult economic situation as the current account deficit had touched two billion dollars per month. He said the rupee is also witnessing depreciation since last year. He, however, said that the situation is now improving. The finance minister categorically stated there is no economic crisis in the country as the financing gap for the current fiscal year has been met.